Will DC regain its focus and dominance that it once had? Batman v Superman could be a start and that is where its roots are from and then later this year with Suicide Squad it can gain some more momentum. Maybe next year with Justice League and Wonder Woman it will find new life and something to compete with Avengers, Guardians of the Galaxy, and X-Men. You will see in the insights that keeping the movie rating at a PG-13 level is key, these movies will average 4x more than an R rated movie will gross. This report showcases and highlights a bunch of features in Power BI, integrating multiple data sources, calling a web service, cards, charts, drill down, custom visuals, slicers, color definition, back ground images, and more! Another insight that I was curious about was why Iron Man 3 was so popular and grossed so much money. I mentioned this to my wife and she quickly asked, “Well did it come out after the Avengers movie?” I switched back to my Power BI report…well “Yes it did, that is brilliant!” So follow up the movies with more spinoffs, kind of like DC will do next year with Wonder Woman. Here is my video showcasing my Power BI Best Report Contest Entry, unfortunately I did not make it into the Top 10 for the voting process. If you want to check out the Top 10 finalists they are all posted here and I believe at some point they will be adding all of the entries into the public showcase area as well. 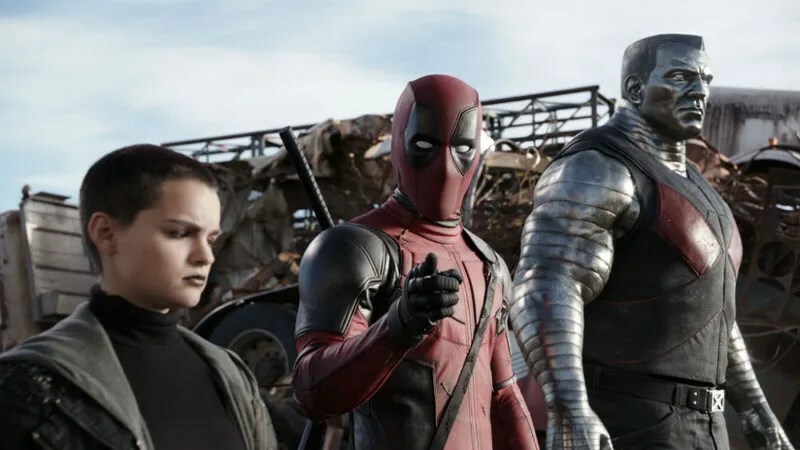 And I guess Deadpool is defying the odds and proving everyone wrong, after two weeks in the box office it has already beat out the best X-Men movie here in the US and has grossed nearly $500M globally. Not bad for a movie they spent $58M on to make, plus it was banned in China. So I guess maybe making the next Wolverine move Rated R might work out okay. I hope you enjoyed this, now I have to figure out what else to check out with Power BI! This entry was posted on February 24, 2016 at 6:00 am	and is filed under Power BI. Tagged: movies, msbi, powerbi. You can follow any responses to this entry through the RSS 2.0 feed. You can leave a response, or trackback from your own site. I really like your Power BI analysis of Comics. I find datasets very hard to come up with and this is very creative! Kudos. Really well done site and fascinating that past performance doesn’t always hold for future results, Deadpool was a pretty awesome movie. What visualization did you use for the pictures of the movies on the left? That was much better than just seeing a list of names. Thanks. The pictures are being displayed using the ChicletSlicer custom visualization that you can download from http://powerbi.com/visuals. You can display images with regular slicer, but you don’t have the same control over the layout and display.